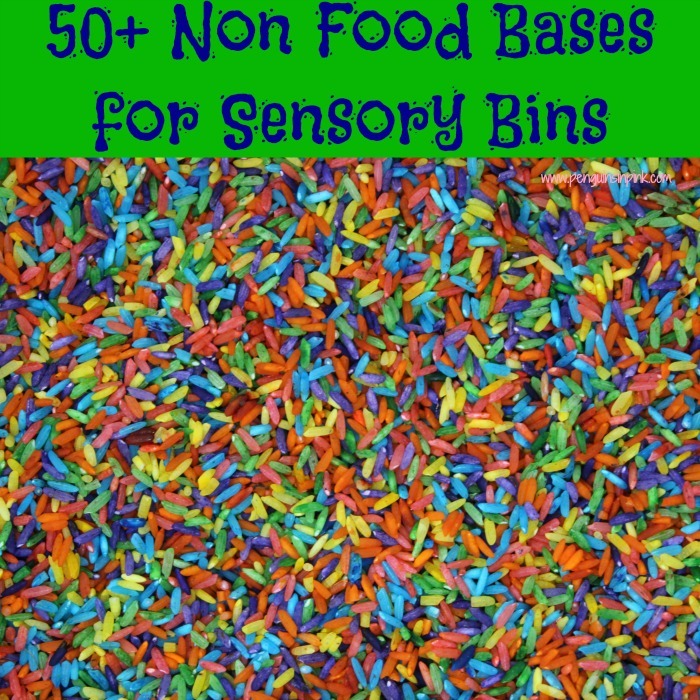 This post, 50+ Non Food Bases for Sensory Bins, may contain affiliate links. This means if you make a purchase through one of these links, Penguins in Pink will receive a commission at no additional cost to you. 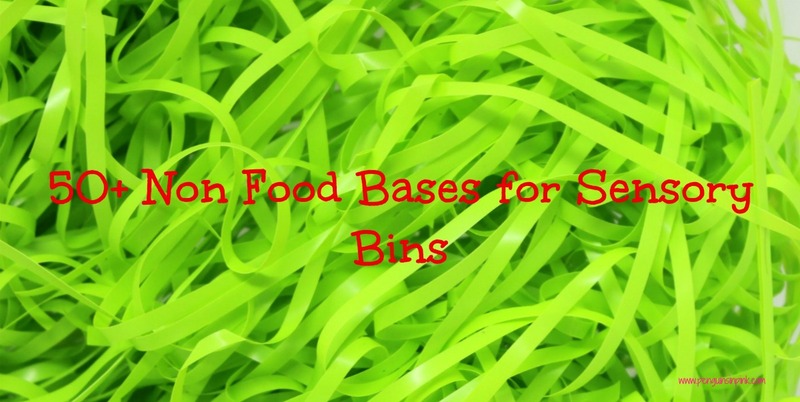 Sensory bins invoke a lot of questions like where do you find the containers, what items do you use for bases, and what do you actually put in a sensory bin. 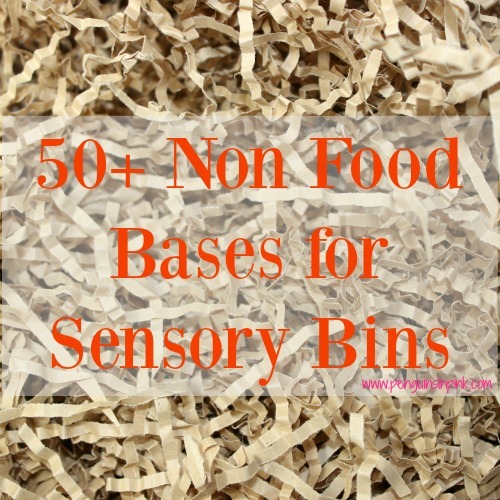 Today I’m going to share with you a huge list of 50+ Non Food bases for sensory bins. First what exactly is a sensory bin? 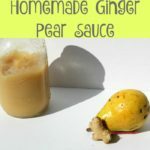 In a nutshell, a sensory bin is a safe way for children to explore objects with their hands. Sensory bins allow for tactile and visual exploration in a contained area. Sensory bins can also include the other sense by being edible (gustatory), having a scent (olfactory), or making noise (auditory). 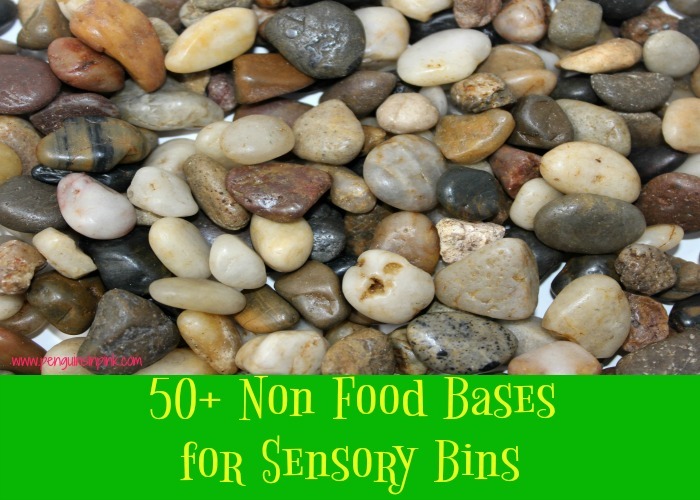 These 50+ Non Food Bases for Sensory Bins are meant for kids to touch and sometimes smell. When using any of theses bases with kids under 3, please watch them carefully as some of the bases could be a chocking hazard and probably just taste terrible. 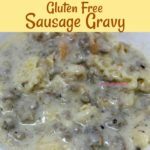 Exercise caution with the non food bases that could pose a choking hazard.